Moving is tough and tricky and is invariably a long drawn out process. Understanding requirements, clear planning and meticulous execution; a lot goes into pulling out a successful move. Hurrying through the process only leads to losses, breakage and delays. It is therefore important to rely on the skill and competence of professional movers in New Lynn for a pleasant and hassle-free move. At CBD Movers NZ, we are reckoned for our fine removalists services. Our comprehensive understanding of the requirements of the move backed by skillful staff, state-of-the-art equipment and well-maintained removal trucks helps us take up moves that are accomplished in every aspect. We undertake the widest range of removalists services. House removal, office shifting and furniture relocation; we are trained and equipped to take up all with ease and competence. From providing the basic loading and unloading support to transfer boxes to and from the removal trucks to providing end-to-end assistance for packing and moving entire units; we undertake all. We excel in packing and are trained to dismantle and reassemble furniture pieces deftly. At CBD Movers NZ, we possess the best and the most advanced tools and techniques to undertake removal jobs. Ramps, trolleys, removal strap and more; we use the right removal gear for the safest and the fastest removal. Our fleet of trucks is the biggest in the business. From 3 tonne to 8 tonne truck load capacities, we are equipped to handle all. Each vehicle is well-maintained and befitted with climate control system for maximum protection against temperature variations. We hold all the necessary licenses required for a local and interstate move. 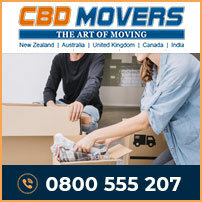 At CBD Movers NZ, we are well-aware of the industry and its requirements. Our customized removalists services meet individual needs perfectly. We charge the lowest rates for all services. Extra person is available at a low rate of $30/hour. We do not charge a depot fee and have the most reasonable rates for comprehensive transit insurance. Our operations are transparent and clear with no hidden charges. New Lynn is a prominent residential suburb of Auckland, New Zealand. Nearly 10 kilometers from the Auckland city centre, the suburb offers comfortable dwelling units to almost 16,000 people. Packed with the right facilities and amenities, New Lynn is perfect for a comfortable living. 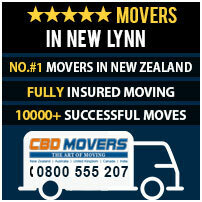 At CBD Movers NZ, we extend our superior services and support to people looking forward to moving to or from New Lynn. We have experienced removalists and offer the safest, reliable and affordable services. Get in touch with us for customized removal services.